If you didn’t know already, MAKE UP FOR EVER is a pretty big deal when it comes to show-stopping colour and high-performance pigments. 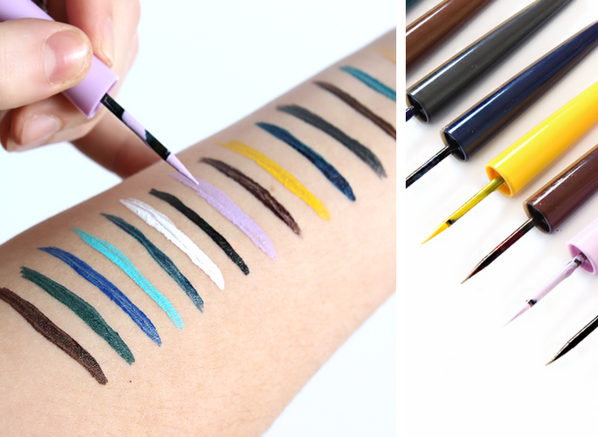 Known for their camera ready makeup staples and makeup artist inspired solutions, I’m extremely excited to introduce you to the MAKE UP FOR EVER Aqua XL Ink Liner, now available at Escentual. This new global launch is huge! Fronted by the critically acclaimed R’n’B superstar, Kehlani, the Aqua XL Ink Liners are currently embarking on a global campaign of greatness. 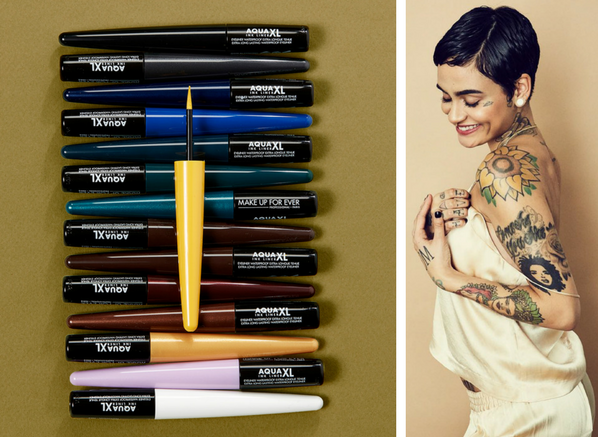 Featuring in all of Kehlani’s artistic ventures, from tour dates to music videos, these show-stopping eye liners take centre stage in all of her creative endeavours, and now they can feature as a main stage eyeliner in yours too – yay! Why do I need the Aqua XL Ink Liner? Created with the slogan, ‘Stays On Until You Take It Off*’, this 24hr stay-proof formula means business when it comes to longevity. Smudge-proof budge-proof and waterproof, that cat eye you’ve been dreaming of creating now awaits in a rainbow of shades. 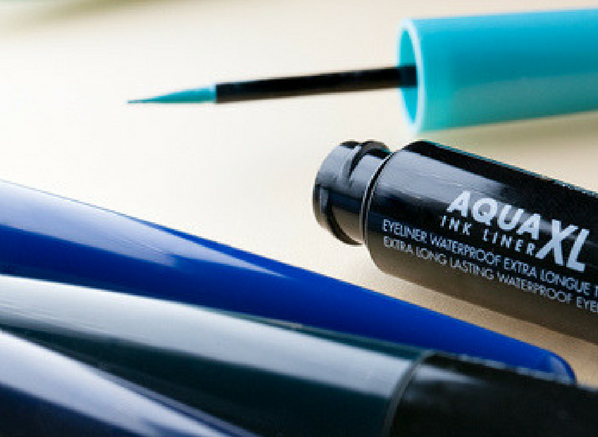 Inspired by the needs of professionals for the use of beginners, the Aqua XL Ink Liner formula has been enhanced to always prevail through the heat, sweat, tears of everyday tribulations, including creating the ‘perfect’ eyeliner. Not your average liquid eyeliner, the Aqua XL Ink Liner range consists of 15 shades to transform the way you look at eyeliners. If you’re serious about precision, it’s pretty simple, you need this eyeliner. 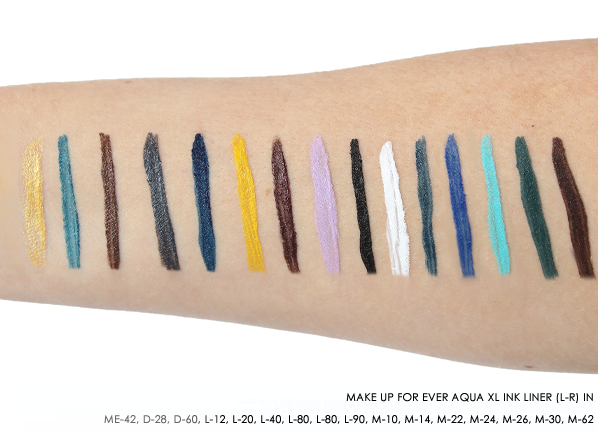 Interesting fact alert: The MAKE UP FOR EVER Aqua range was initially formulated to fit the long-lasting and extreme needs of the French Synchronized Swimming Team back in 2006! Which Aqua XL Ink Liner shade is for me? If you’re big on brightness, or, like me, you like to channel the classic Audrey Hepburn look, there’s an Aqua XL Ink Liner shade for you. From shimmering sunshine yellows to a jet black matte hue, these artistic shades will help you to unleash your creativity, whilst adding a pop of colour to your look. When browsing the Aqua XL Ink Liner range, you’ll see specific coding on the shades. Starting from ME (metallic) and finishing with M (matte), you can clearly see the differences between each finish. They get their strong pigments from, Humectants, these create the show-stopping vinyl and vibrant effect, whilst keeping your eyelids hydrated too! Selected shades contain special polymers to create a waterproof veil that prevents cracking. The super flexible nib is tapered with a felt tip to let you create a thin, thick or bold liner, without the unwanted cracked eyeliner finish from over applying. They don’t drag, they don’t budge, what more can you want from an eyeliner? Interesting fact alert: The MAKE UP FOR EVER Aqua XL Ink Liners are made with a special airtight lid to keep their formulas from drying out. Please note, as of 19/06/2017 the shades M-22, M-26, D-28 and L-40 are no longer waterproof. This entry was posted on Thursday, May 25th, 2017 at 2:43 pm and is filed under Get the Look, Make-up, New products, Spotlight On, Swatches, Tried & Tested. You can follow any responses to this entry through the RSS 2.0 feed. You can skip to the end and leave a response. Pinging is currently not allowed.